As a student and tourist I cycled around Ireland in 1988 without a care, knowing nothing about the country. 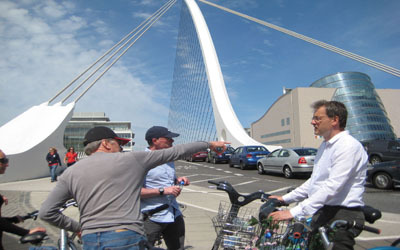 In June 2013, 25 years later, I had an unusual and unbelievably enriching experience when I came back to Ireland to talk about Berlin’s policies on cycle traffic at the National Bike Week in Dublin. Now that I am a traffic planner, specialising in cycle promotion, I see Dublin through quite different eyes. Read article & see earlier post.